Find the perimeter of a square with side length . 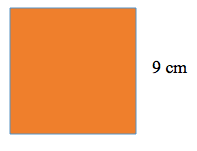 An easy way to find the side length of a square from the perimeter is just to divide the perimeter by . True or False? The perimeter of a square is all four sides added together. 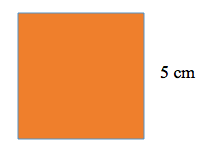 Since each side of the square is the same value, it is adding the same number four times. and to undue that to find the side length you would just divide by .